If you are trying to get into shape, buying your own fitness equipment may make it easier for your schedule than visiting a gym. If you’re on a tight budget, though, the cost of that equipment can remove that option. Check out these ideas for saving money on fitness equipment. Keep a close on eye on those weekly garage sale ads in your area. Garage sales can usually be divided into two categories: Sales by people who want to make money and people who want to get rid of stuff. You will find the best bargains with the latter. Look for sales that advertise “everything must go” or “make an offer.” Of course, be sure to drop by any sales that advertise exercise equipment and be ready to bargain! Thrift stores receive a hodgepodge of items donated to sell. Keep a regular check for fitness equipment, or talk to the thrift store managers about putting you on a call list. This means that they will keep your phone number and if they get fitness equipment donated to sell, they will give you a call with first dibs. It’s worth a try! CraigsList is a great place to look for bargains on fitness equipment and accessories. Scan the site regularly or take out a free ad of your own. Offer goods and services in exchange for some of the fitness equipment you are needing. If you find someone who has what you want, find out if they’re interested in some bartering. You can trade something you own or a service you for the item. You can trade dog sitting, changing oil in a vehicle, mowing a yard, or some other service for the equipment. Once you establish that the person would be willing to do a trade, then you can start negotiating what you can offer for the deal. 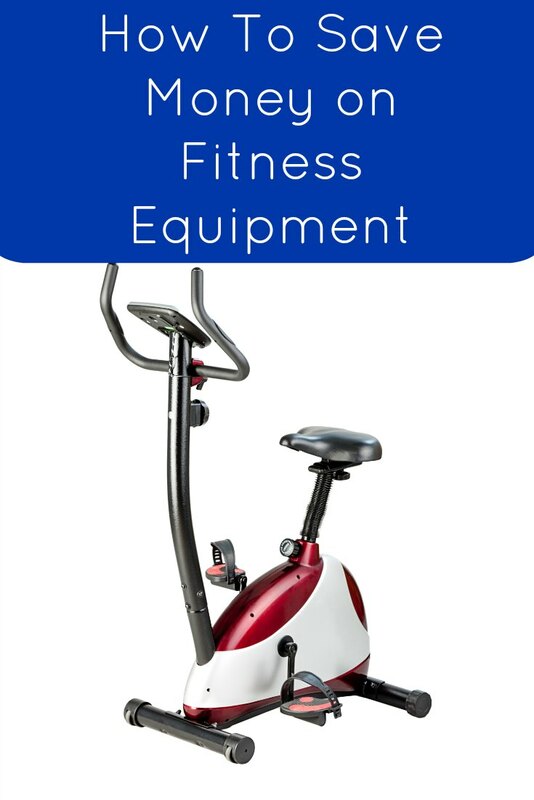 Instead of paying for specialized equipment, take a look at what you already have that can be used for your exercise regimen. Instead of a stair stepper machine, hit the stairs in your house or at work. Instead of a treadmill, take a walk around your yard, around a local mall, or around a local school track. Instead of a stationary bike, how about a real bicycle that you can tool around and see the scenery with? Think outside the box for your exercise and fitness equipment and save some money while you’re at it. It doesn’t have to cost an arm and a leg to get those parts into shape. Hit some secondhand stores, some garage sales or online resell venues and see what kind of bargains you can score. Take a look around for some “equipment” that costs nothing — then get your workout started!